Dr. Jansson is an Associate Professor of Pediatrics at Johns Hopkins University School of Medicine. She is a developmental pediatrician and has been the director of Pediatrics at the Center for Addiction and Pregnancy, a comprehensive treatment program for pregnant and parenting women with substance use disorders, since the program’s inception in 1991. In that capacity she provides comprehensive health care to substance exposed infants, children and adolescents in the context of maternal addictions, mental health concerns, and the dyad’s environment. 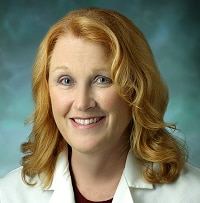 Dr. Jansson’s principal areas of research involve exploring the effects of in utero exposures to opioids and other substances on the developing fetus and infant, optimizing treatment for women with opioid use disorders and opioid exposed infants, and lactation among women with substance use disorders.